Because I love to DIY almost everything, I rarely go to the salon or nail parlor to get my nails done, I actually do them myself. But when somebody's going to treat me for a mani-pedi (which my mama and sister usually do) I typically don't refuse the offer. 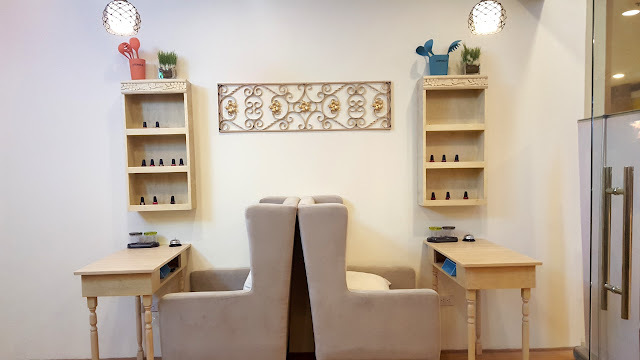 So when I was invited to try this newly opened nail salon in Trinoma, I didn't think twice to say yes. It's good for a girl to get pampered and relax once in a while. It was the store opening of Kitchenails in Trinoma Mall. 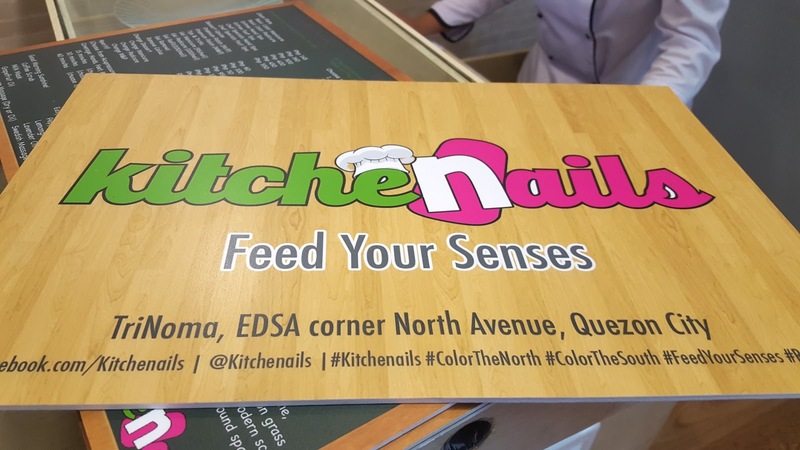 Kitchenails was named as such because the concept of the nail spa is culinary. 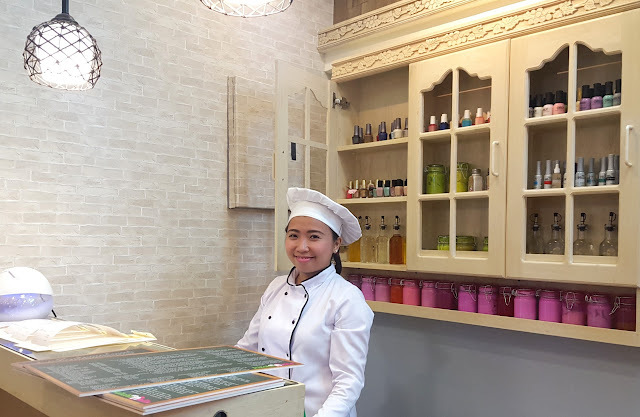 This came to be, because the owner, besides other beauty salons (nail spas and waxing salons), also owns restaurants and she wanted to create a business that puts her love for beauty and food together, hence Kitchenails was born. 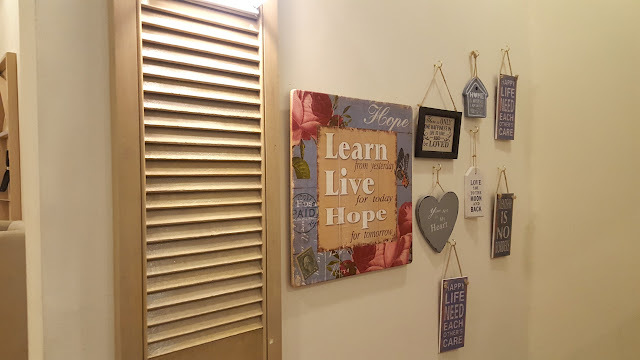 Upon arriving, I was already drawn to the homey atmosphere of the place. 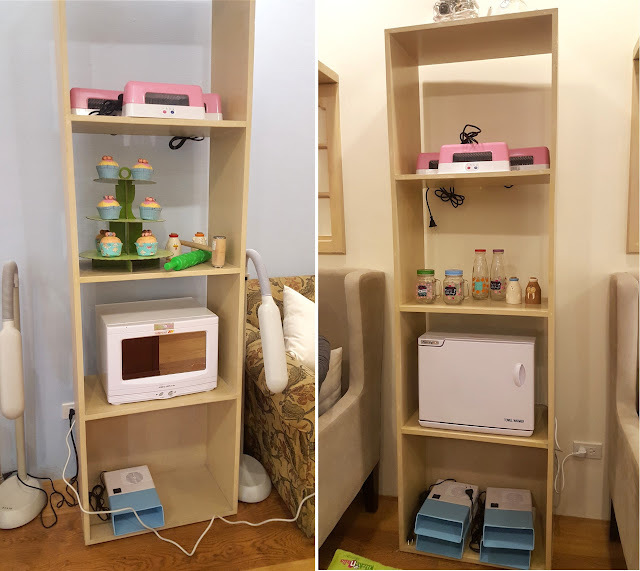 The space can be mistaken for something else (say like a cupcake cafe) because it is decorated to look like a cozy country home with full-on shabby chic decors (which is irresistible to me, btw) and cooking appliance and utensils. Even the music being played inside was selected to fit the ambiance of the place. 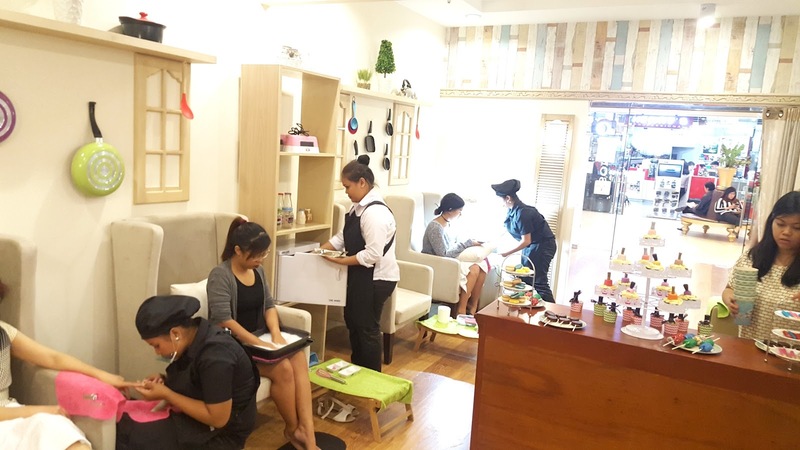 The area is huge and spacious which can also accommodate small events for those who want a nail spa party for their birthdays or bridal showers. I was super impressed with the concept actually. The staff were even dressed as chefs, waitresses and such. 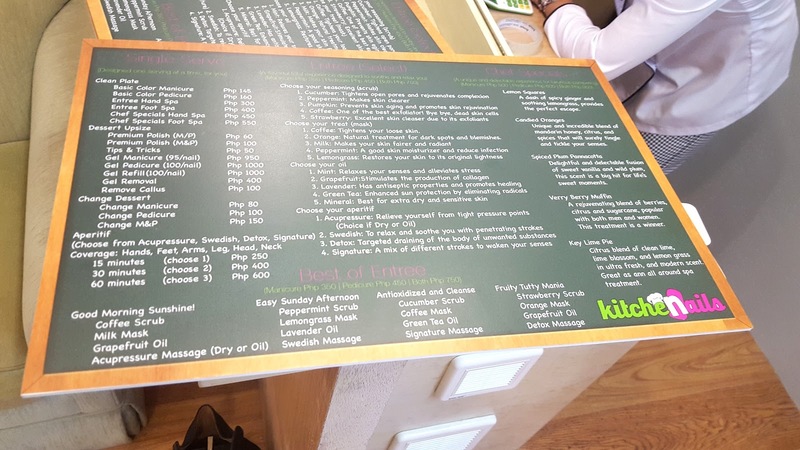 When you go there to have your nails done they will show you the "menu" and suggest their "best-sellers". If you don't like the available "menu items", you can choose from their other entrees. Then they will take your "order". I like how specific they are about their service. They will ask you until the bittiest details; like if you want your nails to be cut round, square or square/round. Which I really never even thought about until that moment, hahahaha! I would just usually cut my nails without giving a thought about the shape. The names of the nail treatments will even make you question if you're really there to get your nails done or to get some desserts. My fellow blogger friends chose Verry Berry Muffin (Lina), Spiced Plum Pannacotta (Mish), Candied Oranges (Bettina) and Easy Sunday Afternoon (Princess). I went for the Key Lime Pie. Everything that they use for the services are kitchen and/or baking utensils. Baking pans for soaking your hands and feet; whisks, spatulas, marinate syringes; cling wraps etc were used for applications of scrubs, massage lotions, etc. these are not jams or spreads, you have been warned! For your accessories, they provide you with an empty mason or cookie jar as sort of your safety deposit box. While the mask is left on your arms and hands, they also use terms like "baking time" and/or "cooking time". I love the scent of my scrub, mask and massage lotion. It's a sweet nostalgia of smelling like summer! What amazed me was that after the session, we had dinner then went home at around midnight and the smell of key lime pie still lingers on my skin. There are a lot of colors and brands for the nail polishes that you can choose from. What Kitchenails use are mostly branded and imported ones. 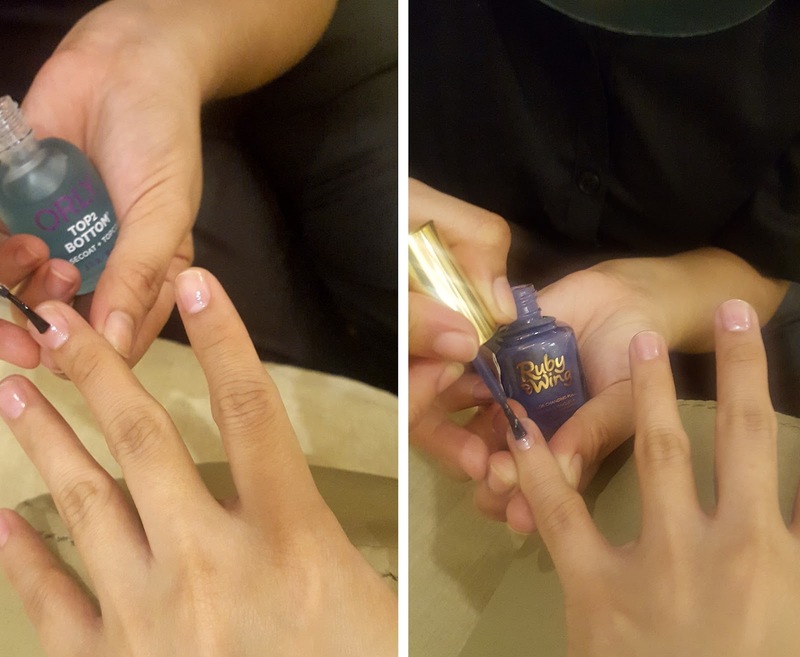 For regular nail colors, they use L.A. 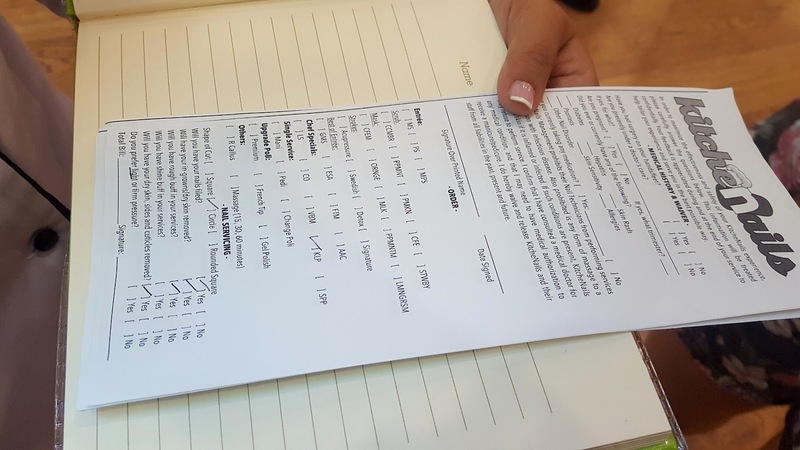 Colors; if you're opting for Orly, Morgan Taylor or the other pricier brands, you'll have to pay an additional Php 60. 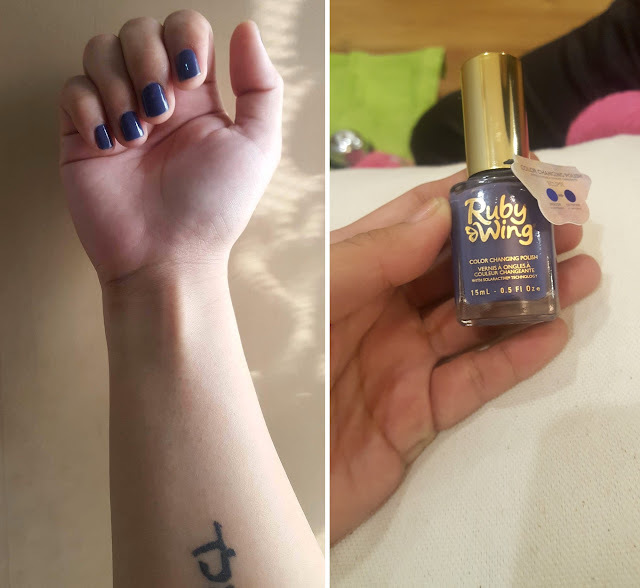 What I pick was this purple shade from Ruby Wings that changes color; it turns to a deep purple when you're outdoors. 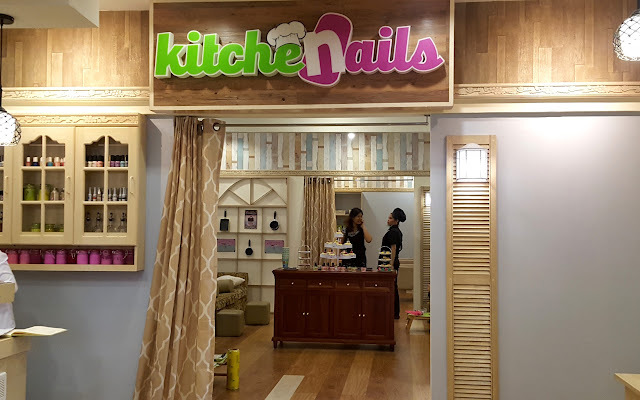 I really enjoyed getting pampered and having my nails done at Kitchenails. Not only that I'm totally digging the concept of this nail salon, I appreciated their service from start to finish. They even called me "Princess Jen" hahahahaha! Thank you Kitchenails and Aldous (aldousatetheworld.com) for this much needed indulgence and for the yummy treats from Gillian Gail Dessert Buffet. Are You Ready For Some Heritage Core?